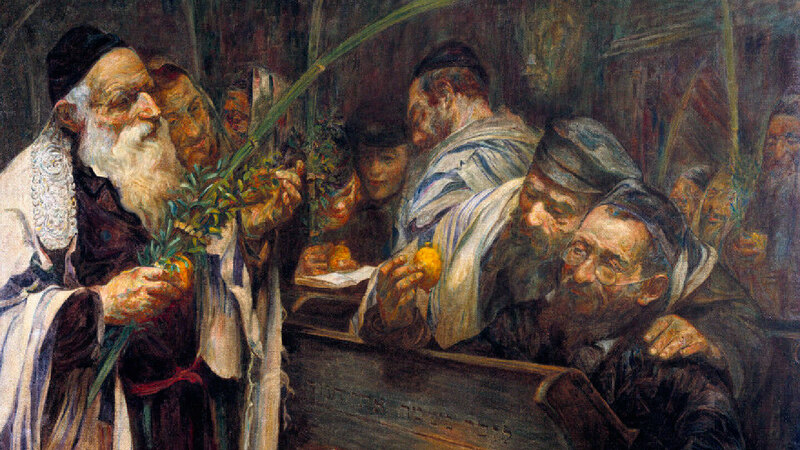 This Shabbat is Sukkoth, and therefore there is a special reading from the Torah. The unique portion focuses on the Exodus from Egypt and touches on the reason for the commandment of the commemoration of Sukkot. In addition, it highlights the importance of educating our children as well as the values ​​of the four species. Why are We Instructed to Build a Sukkah? The reason we observe the Feast of Sukkoth every year is to instill the idea of unity in our children. First of all, what exactly is a sukkah and what purpose does it serve? When the Israelites fled from Egypt and trudged through the desert, they lived in sukkoth, which are temporary huts similar to a tent. Our dwelling in sukkoth helps us to commemorate the sukkoth of old, and thus the Exodus from Egypt. Why is it that most holidays, including Shabbat, are held in remembrance of the Exodus from Egypt? The Exodus was an eternal major point of the Bible and the Jewish people. God took a group of slaves and guided them through the Red Sea. In doing so He brought them forth as a free and newly born nation. It is precisely at this point in time that God created the people of Israel. The sukkah is intended to teach future generations how to preserve the continuity of the collective memory of the Jewish people. Its purpose is to invest, educate, and to care for the future. The best way for families to go about this important instruction is by connecting their children to the Bible, to God, and to the people of Israel. This week in particular we get to identify with the Israelites as we sit in the sukkah as a family. During all the Biblical feasts, there is always an emphasis to share with our children. In fact, most of the holidays are observed in order to teach the children our history. It goes to show the significance of passing on the culture and the Torah from generation to generation. Many children look forward to and enjoy building the sukkah with their parents. They make sure to decorate the sukkah as nicely as they can. Likewise, it is fun to leave the house and indulge in a family picnic outside. We move the table and chairs to the sukkah, eat all the meals together, and play in it, too.However, most importantly, we enter the sukkah and feel that for one week we have no home, but rather we get to personally experience the Exodus from Egypt ourselves. Another commandment for this holiday are the four species. These species include a lulav, which is a branch from a date tree, hadas or three branches of myrtle, aravah, which are two willow branches, and an etrog, the fruit of a citron tree.This commandment is based on the verse from Leviticus 23:40 which discusses this matter. In Jewish thought, we tend to divide people into four categories. We have not only black and white, nor just righteous and wicked, but also two shades of gray in the middle. Etrog: It has taste and also smell; it represents people who have both faith and good deeds. Lulav – It has taste, the fruit of the date, but it does not have any smell. It embodies people with faith, but no good deeds. Myrtle: it has a smell but no taste – it symbolizes good people who do good deeds, but are without faith, lacking the Torah. Willow – it has no taste and no smell – this portrays individuals who are lacking faith as well as good deeds. During Sukkoth, we hold all four species close together, and we teach our children the following: With the etrog alone, you cannot fulfill the commandment. Nor can you do so with the combination of the lulav and the hadas. You must take the aravah, and hold it close to the lulav, hadas, myrtle, and the etrog. Only when all four of these types are united can you fulfill the commandment. Together we make up a society, complementing one another, so we hold the four species. We do this as a hope for unity and to remind ourselves to accept each other with love and understanding. This same idea appears on the holiday of Passover. The Torah speaks of four sons: the wise, the wicked, the innocent, and the one who does not know how to ask. This pattern of four characters – a good character, a bad character, and two characters in the middle, seem to appear frequently. This is because the Jewish world teaches us that there is good and evil as well as several shades of gray – these are not absolutes. In my opinion, this is also the intention of Yeshua in the parable of the sower from Matthew 13. One of the most interesting topics in the four Gospels are the parables. The parables give volume, interest, and stimulate the imagination. In Yeshua’s parable of the Sower, there is this same pattern of four. In this case there are four kinds of people represented by four different types of earth. We get used to the idea of things being on one end of the extreme; ​​the “black and white” or “all or nothing” mentality. Going back to the parable with this frame of thought, we are used to categorizing three types of soils as being bad and only one as being good – the one that brings forth much fruit. Yes, there is certainly a desire for righteousness, each person should aspire to be the fruitful ground. Yeshua encourages us in the parable of the sower to be that good and fertile soil. We have become accustomed to thinking about the rocky soil, which is not useful due to its lack of depth or its inability to allow for deep roots. It represents someone who has no theological depth, the young and weak believer without a basis in Scripture. Similarly, the thorny soil embodies the weak believer, whose cares for the world suffocate him. Indeed, there is one kind of soil which is good, bringing forth much fruit. We too are often like this type of soil when we come to the congregation, to the house of God. We all pray, sing, and give praise. On Shabbat or Sunday, we are like the good ground. However, what about the rest of the week? Perhaps we fall in the gray area at some point, as in the parable of Yeshua. All of us are suffocated by worrying about rent, bills, work problems, children’s education, and family problems. Who of us can say that he or she is the good ground that brings forth much fruit during these times? Who can testify that they have never been suffocated by the problems of life? That they don’t argue with their spouse? That they do not think about the economic problems they have? We are all in the middle ground, some of us among the rocks, others among the thorns. Therefore, we need each other, because together we are stronger, together we can deal with the world as well as our problems. Alone we fall, but together we grow and find hope. We teach our children that we are part of a people and community. One of the expressions of this unity is to help each other, pray for one another, strengthen each other. We all fall once in awhile, but the role of the community is to help us get back on our feet. In our congregation, when we look to the right and left, we see the four species, the people we love more and those who we love less. The believers who are stronger and those that are weaker in their faith. There are also those who have more faith, and those who have more deeds, those who are devout in prayer, and those from which we can ask for practical help in times of need. We are all unique, and everyone is in a different place in his or her life, in understanding the world, God, and the Scriptures. All of us have different gifts and abilities, but together we are a whole. This the main lesson that the four species teach us, this principle which we strive to instill in our children, unity. We are diverse people who stand together as a community, one congregation that belongs to God and is purified by the blood of Yeshua the Messiah. Shabbat Shalom and have a happy Sukkoth!